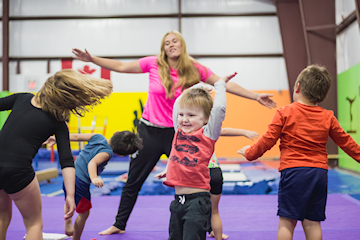 The Ponoka Gymnastics Club is a non‑profit, parent‑run organization providing quality gymnastics and tumbling instruction at both recreational and competitive levels. Our program runs yearly offering sessions in the Spring, Fall and Winter as well as week‑long camps over the Spring and Summer breaks. 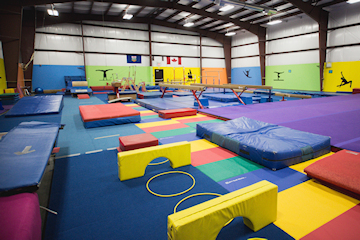 Our building includes a great variety of gymnastics equipment as well as ample floor space for a safe environment for your child. Learn more by clicking on the link below. 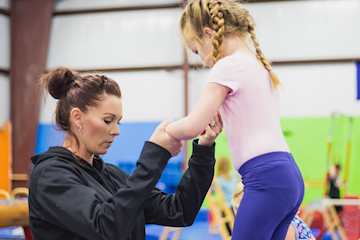 All of our coaching staff are certified by the National Coaching Certification Program to provide exceptional coaching and training for your child. Click on the link below to meet them. We provide a wide variety of recreational programs for children at various ages and skill levels. From toddlers to teenagers, from newbies to junior Olympians, we have the right program for your child.